White sand beaches, clear blue waters, and the warm Caribbean sun! A variety of activities; fine dining, and no worries! This is Couples Negril - an all-inclusive vacation resort in Negril, Jamaica. A great vacation with an even better value for those who want a romantic, stress-free vacation in Jamaica. Located on 18 acres of the purest white sand in Jamaica, Couples Negril is a beachfront playground - offering every activity you want and expect in a vacation. Enjoy Scuba diving, sailing, snorkeling and pool volleyball, plus complimentary tennis, unlimited golf, and even a fitness center! There is always something to do at Couples Negril. Where is Couples Negril located? Couples Negril is five miles from downtown Negril â€“ a small fishing village â€“ and fifty miles from Donald Sangster International Airport in Montego Bay (an one hour and a half drive). The resort sits on 18 acres of tropical grounds facing the crescent shaped Bloody Bay on 1,000 feet of white sand beach. To get to Couples Negril, youâ€™ll take a transfer bus provided by the resort. It is also possible to take a transfer flight on a "puddle jumper" airplane for an additional cost. Iâ€™ve taken these several times, and it is a great way to see Jamaica from the air. Couples Negril is an all-inclusive resort in Jamaica for couples only. All-inclusive means that everything in your vacation package is included in one price. You donâ€™t have to carry a purse or wallet with you; you donâ€™t have to wear a wrist band; and you donâ€™t have to charge things to your room. Just about everything you can eat, drink or do is included in the price. Couples Negril has a truly fantastic beach! The beach is white sand, and runs the length of the resort. The staff rakes it every day to cut down on the seaweed and other debris. At the far end of the beach is a clothing optional section, where you can sunbathe â€œau naturelâ€�. It is separated from the main beach with small hedges and trees. To truly enjoy your stay at Couples Negril, invest in a Garden or Beachfront Suite! The Garden Suites are located on the end of each building, and have all of the above features of the rooms. A Beachfront Suite includes all the amenities of the Garden Suite, but a much better location. If you want to truly pamper yourself, the Beachfront Suite is the best way! A Suite is a great way to start and end each day: on your private patio, watching the waves. The Cassava Terrace â€“ for breakfast, lunch and dinner. The Cassava Terrace is the main dining room area. A Continental Breakfast is available at 5:30 am for early risers. Full breakfast is available beginning at 7:30 am. Breakfast features fresh fruits, freshly baked bread, pastries, and made-to-order omelets. At lunch, try a salad, sandwich or other light dishes. Dinner brings a selection of soups and salads, fresh fish & other entrees, and decadent desserts. Tip: If you want more than one entree or dessert, just let them know! You are not limited to one selection. The beach grill offers grilled foods such as hamburgers and jerk, in addition to salads and Jamaican specialities. The Beach Grill is open from 12:30pm to 2:30pm and 11:00pm to 5:00am. Heliconia offers Mediterranean cuisine at night, under the stars. Enjoy pasta along with seafood, lamb, pork chops or beef loin, and follow it with a heavenly dessert! A really romantic way to enjoy your evening meal! Lychee offers Asian food, including soups, salads, sushi, and Asian entrees. This is a semi-formal restaurant, although no jacket is required. It is open from 6:00 until 9:15 pm, and no reservations are required. Otaheite offers Caribbean cuisine, and is a semi-formal restaurant. Reservations are required, and you do have to dress up a bit. Suits are not required, but nice slacks are, in addition to closed-toes shoes. This is an excellent restaurant, and a must-try during your stay at Couples Negril. For an extra-special evening, you can dine on the beach under the stars. This does come with an additional charge, which is currently $170.00. 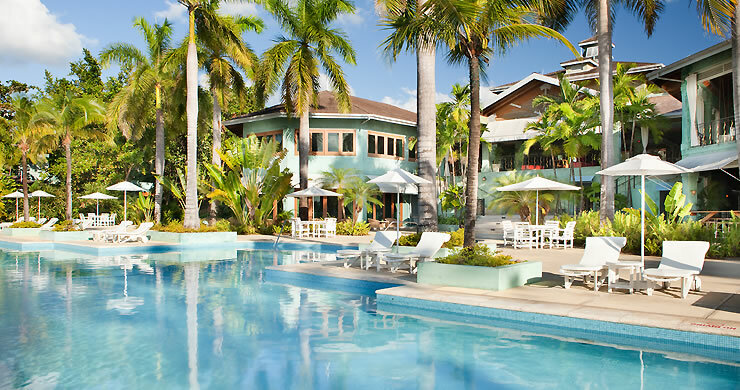 Youâ€™ll have a private waiter with your own table, Couples own private-label wine, and a three-course Caribbean dinner. I have not personally tried this, but it sounds heavenly! If youâ€™re staying in a Garden Suite or Beachfront Suite, you having meals delivered to your suite. A special menu is available for these meals, and you must order a day in advance. In-Suite Dining is available from 6:30 pm until 9:00 pm. All drinks â€“ including alcoholic ones â€“ are included in your package price. At least one bar is open most of the day, so youâ€™ll never go thirsty! The swim-up pool bar opens at 10:00 am for the early risers, and serves drinks until 6:00 pm. The beach bar begins serving at 11:00 am, and stays open until midnight. There is a bar inside the Cassava Restaurant, and it is open during lunch and dinner hours. The Piano Bar opens for cocktails at 6 pm and does not close until the last couple retires. At Couples Negril, you can indulge in a variety of massages, revive with detoxifying seaweed warps, or soften your skin with moisture-rich body scrubs and poultices. Couplesâ€™ spa exclusive treatments are offered in a variety of locations, including their organic therapy rooms, a thatched hut on the beach, or tucked away in the intimacy of the Tree House. You can also enjoy the services of Couples Negrilâ€™s salon, with manicures, pedicures, hair styling, hair conditioning, and waxing. Men can also be treated to hot towel shaves. These indulgences are great after a day at the beach, when you want to look & feel your best for the nighttime festivities! Please note: Spa services are not included in your package price. An additional charge applies. Think how romantic it would be to get married on a white sand beach in Jamaica. Beautiful blue water in the background, with an even bluer sky above. A wedding at Couples Negril is a great way to â€œtie the knotâ€�, then celebrate your honeymoon afterwards! Couples Negril offers several wedding packages. The best thing about all of them is that you will have your own personal wedding planner who will handle all of the arrangements according to your specific instruction. Then, once you get to Couples Negril, youâ€™ll work with the on-property wedding planner and staff to make certain all goes according to your wishes. A number of other packages are available, and each can be personalized to suit your needs. If youâ€™re getting married, and wish to honeymoon at a Caribbean resort, Couples Negril offers a romantic setting for your honeymoon The only requirements are to stay a minimum of 6 nights at the resort, and provide proof (marriage license) that you were married within the past 30 days. The basic honeymoon package is free, as long as you meet the requirements above. It includes a complimentary bottle of sparkling wine, and a 25 minute couples massage at the Spa. But donâ€™t stop there! Get the complete Honeymoon VIP treatment: for additional fee, you can add tropical flowers in your room; a private candle-lit dinner under the stars, and spa certificates for your choice of spa treatments.